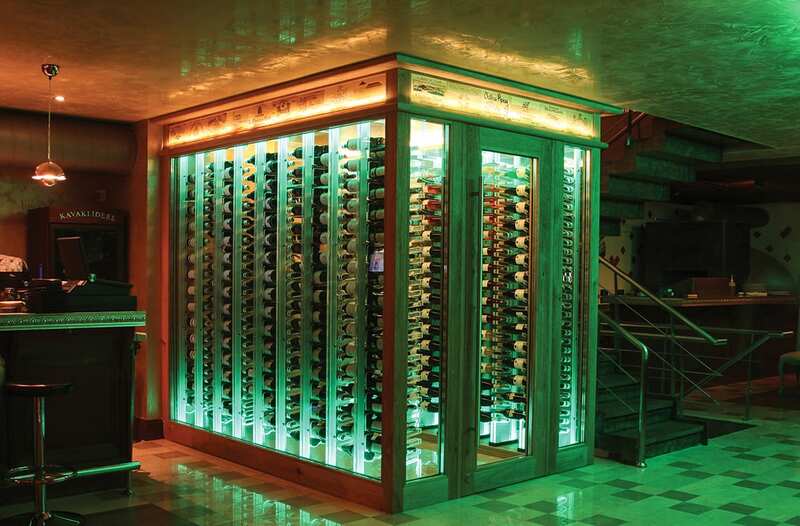 This wine cellar sitting at the heart of one of the most prominent Italian restaurants in the city, Panino Giusto Ristorante & Caffé, hints at the treasures hidden inside from all three façades with large glazings. 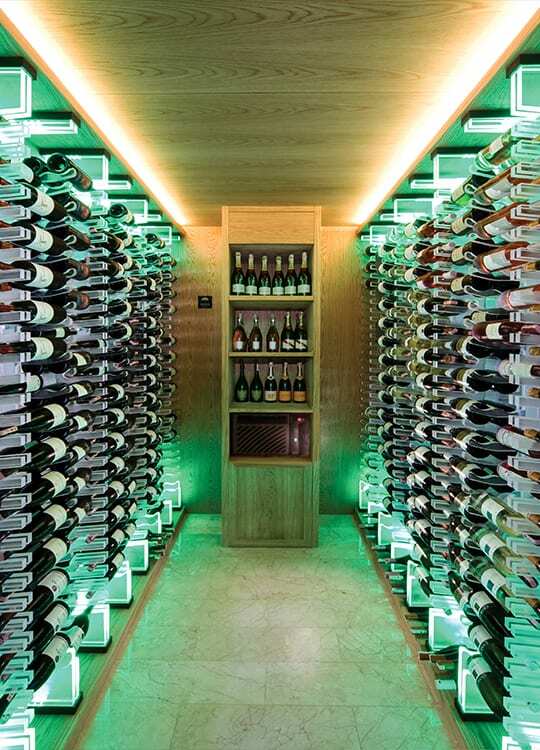 One immediately feels that the whole set-up is organised around the wine cellar, and thus wine. Restaurant guests can comfortably walk into the wine cellar together with the sommelier, and choose a bottle from the 600 bottle collection. On the outside, the cellar is decorated with a crown made out of original wine box panels.